Based on our Nantucket Series (http://www.postandbeam.com/plan/111/), this custom Cape-style house has an added drive-under garage. 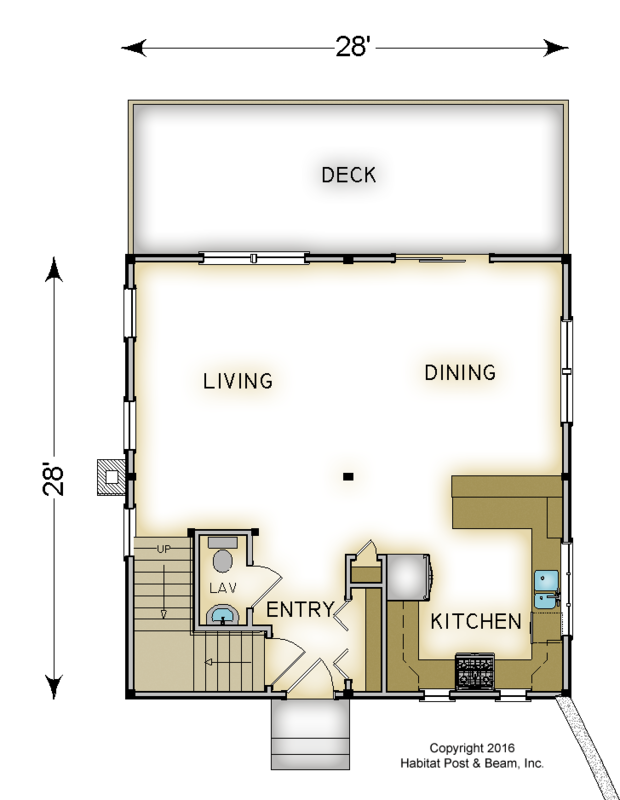 At approximately 1,500 overall square footage (not including deck or garage), the main level has a spacious living room, which is open to the dining and kitchen areas. 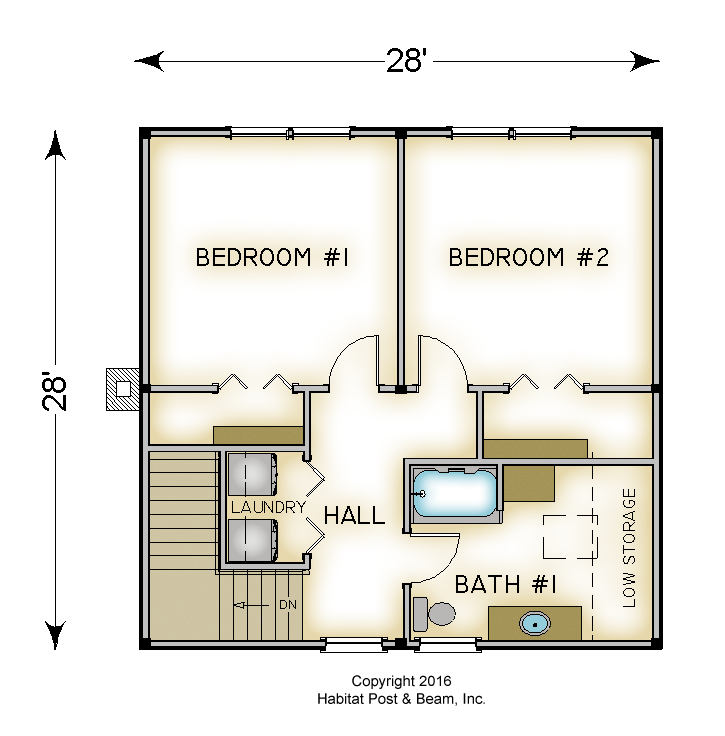 The second floor features two bedrooms with walk-in closets, and a shared bath. 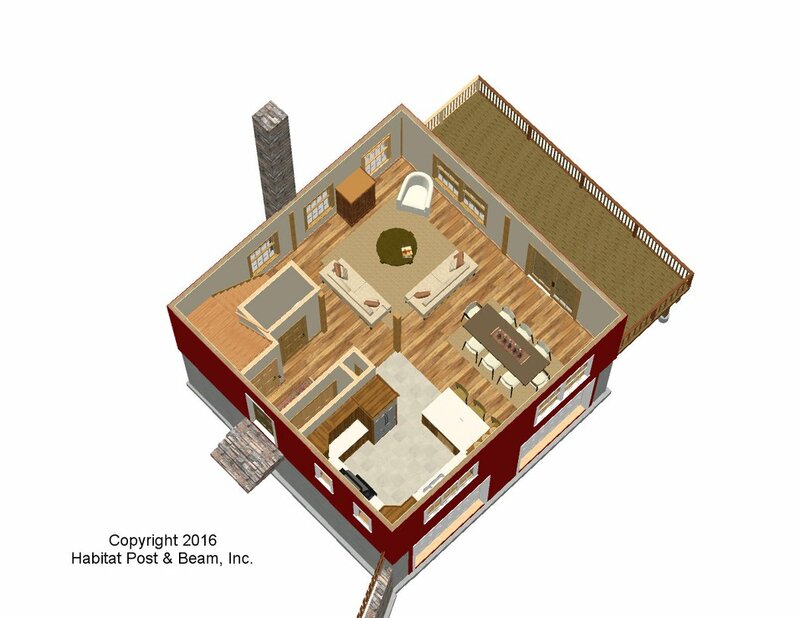 The optional two-car, drive-under garage is designed for parking and utilities, and for a future full bath. 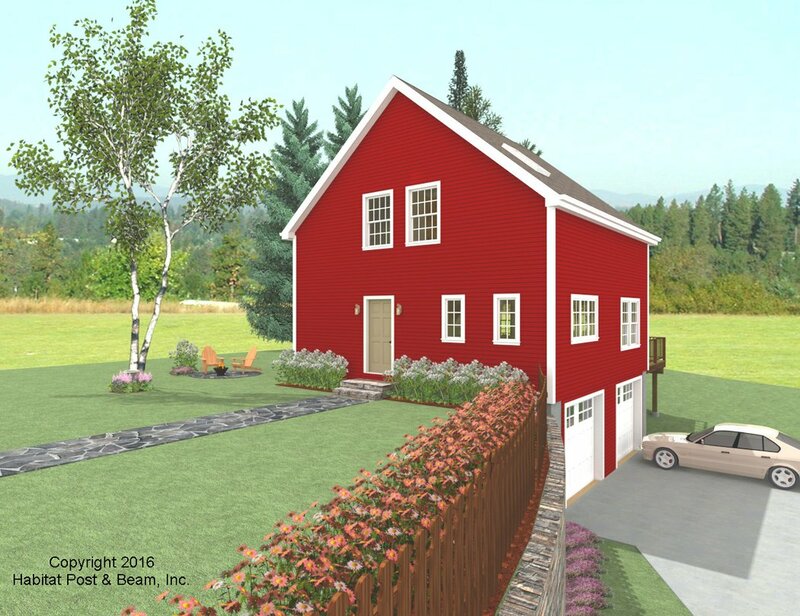 Note - Most designs can be adapted to add or remove walkout basements, garages, porches, decks, etc. as desired (framing materials by owner/contractor). Package Price: $94,000 as specified below (from $94,000 to $116,000 depending on framing options). 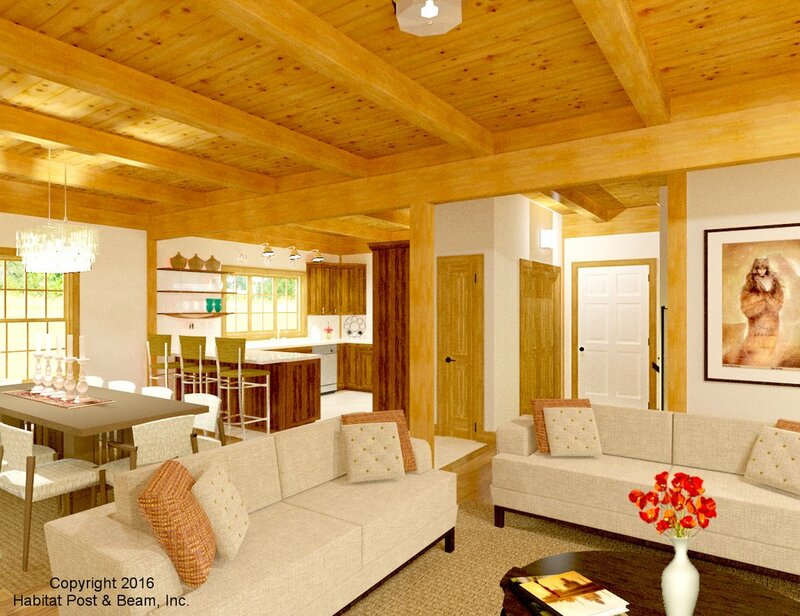 The standard price includes our Beamed Wall System, Plaster and Beam or Beamed Mid-Floor System (same package price), and our Plaster and Accent Beam Roof System.